In August 2015, Dr. Diana Dumlavwalla was appointed Assistant Professor of Piano Pedagogy at Florida State University's College of Music. She directs the piano pedagogy program, teaches seminar and practicum courses and supervises the group piano classes. 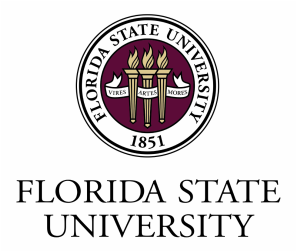 The Florida State University College of Music offers intensive graduate and certificate programs focusing on piano pedagogy along with a supportive environment that nurtures excellence in both performing and teaching. A number of assistantships are also available. For more information, please visit the College of Music's website at music.fsu.edu or email Dr. Dumlavwalla at ddumlavwalla@fsu.edu. Like us on Facebook to get updates on all our activities. Prior to her position at FSU, Dr. Dumlavwalla taught at Western University where she developed the music faculty's inaugural doctoral piano pedagogy course. She was also an instructor at the University of Toronto teaching undergraduate and graduate pedagogy courses, applied piano and directing the Children's Piano Pedagogy Program. At the University of Windsor, she taught applied piano and at Wilfrid Laurier University she instructed group piano classes. For ten years, she maintained thriving private teaching studios in Ontario, Canada. "Diana Dumlavwalla has been my boys' piano teacher for 4-5 years now. My boys have grown tremendously under her patient and skillful teaching. She has a personalized approach teach of my 2 boys, which shows incredible thoughtfulness and great insight into their individual temperaments and learning styles. She is devoted to her students and is committed to bringing out the "gift" in each one, through a discerning and uniquely adapted approach. She builds them up with encouragement. She inspires and motivates - they actually practise every day! As Diana's profile will bear out, she world-class. We are very privileged to have our children learn under her high-caliber teaching, and grow under her careful nurturing." "Diana is a proficient teacher who genuinely cares about her students' progress. She masterfully teaches difficult concepts in simple and understandable ways." "Diana has been a huge influence on me since day one. Not only did she teach me many important piano skills, she also provided a comfortable learning environment for me. I would always look forward to my piano lessons with her. She is an amazing teacher and I wish I had more opportunities to learn from her. " "When my children started piano lessons with Diana six years ago, all we wished for was for them to be able to play tunes we recognized. Little did we know that they would compete at the Brantford Kiwanis Music Festival at the end of their first year of lessons and that they would blossom from children who shyly and meekly announced their pieces to the confident teenagers they are today. After many competitions, ribbons, and scholarships, it gives us even greater pleasure to hear our children play at home for the love of music. Thank you Diana for nurturing our children’s interest in music." "I feel incredibly lucky for the opportunity to be Diana's student. Her extensive knowledge and expertise in music are perhaps only matched by her masterful feel for the subtle intricacies of teaching. Adopting a personalized approach tailored to each student's individual learning style and personality, she is able to share her wisdom clearly and succintly and ensure that her lessons truly resonate on a personal level with each student. As a result, her lessons are always educational, engaging, and enjoyable. Furthermore, she works hard to develop complete musicians well-equipped with the work ethic and skillset to handle challenges at the piano and throughout life. Along with the fundamentals of piano or voice, the importance and values of hard work, perseverance, discipline, and other good habits are impressed upon Diana's students. Diana is a genuinely caring and dedicated teacher who sincerely strives for the best for her students, and her love, passion, and knowledge of music and teaching alike shine through in every lesson. I look forward to every piano lesson, and leave feeling inspired and confident. Diana has played a key role in shaping both the musician and person I am today, and I am forever grateful for her positive impact, encouragement and guidance. I unconditionally and very strongly recommend Diana to students of all ages!" "During the 2013-14 school year, I had the pleasure of taking Dr. Dumlavwalla's graduate piano pedagogy course that focussed on beginning and intermediate students, at the University of Toronto. Her friendly and approachable personality did not disguise the immense expertise that she has in this subject! She was organized in her teaching approach, but was always willing to ac﻿commodate extra questions that we students had. Because I took Dr. Dumlavwalla's course, I feel a lot more confident when teaching my private students. This is thanks to not only the valuable things that I learned from studying with her, but also because of her attitude that being a piano teacher is as much a learning experience as it is to be a piano student." "I am very grateful to have had Dr. Dumlavwalla as a professor as she invests a lot of time and care into her students. I always look forward to her lectures as they are engaging, filled with information and give me the skills and expertise I need to excel as a musician and teacher. I have gained a wealth of confidence as a result of Dr. Dumlavwalla's effective teaching, positive energy and attentive personality." "Diana is a wonderful teacher and I have learned so much from being in her pedagogy classes. She possesses a wealth of knowledge and draws from a great deal of experience. She is extremely passionate, caring, well-organized, and is very easily approachable for advice at any time. With her insight and guidance, I feel that I have grown immensely. Her mentorship has been invaluable." efficient presentation of the curriculum led to success in the classroom.
" Dr. Dumlavwalla is a highly knowledgeable, caring and dedicated professor. She creates well rounded lectures that encourage students to think critically and prepares for careers as pianists and teachers. The knowledge and skills I have gained in her piano pedagogy and piano literature classes will be relevant and beneficial throughout my career." "Diana is an engaging lecturer and pedagogue. Her lectures and studio lessons are fuelled by critic﻿al thought and discussion. She has inspired me to become the best musician and teacher I can be. Diana is attentive, detailed and driven, making her a true mentor and artist!" "The instructor is an outstanding expert, very encouraging, inspiring and supportive." "The instructor is very knowledgable about pedagogical concepts and ideas and is very enthused when teaching. She shows real passion behind her work." "The instructor was very friendly, helpful and approachable. Good Professor!" "It is an excellent course! I appreciate that so much was covered thoroughly and efficiently considering the limited time." - referring to the Undergraduate Piano Pedagogy course at Western"
"Diana is extremely organized and cares about the success of all the students. She goes out of her way to help us understand concepts and make sure we can meet deadlines." "The classes you teach are always my favourite. I appreciate that you are always trying to improve on the course and your teaching. I like that you make us think and discuss topics outside of the books. I really enjoyed the outreach, it was very rewarding." "Really friendly, allows students to speak out." "This course is very good for making sure the piano performance students have knowledge about a wide range of their instrument's repertoire."